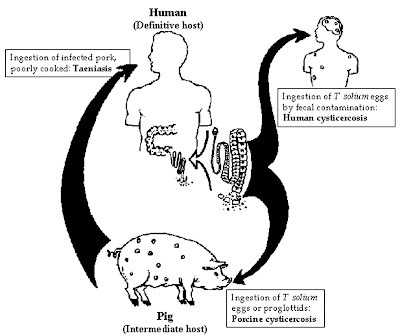 Most common parasitic disease of the nervous system. Cysticercosis is caused by Taenia solium, the pork tapeworm. Endemic in Central and South America, southern Africa, and Asia. 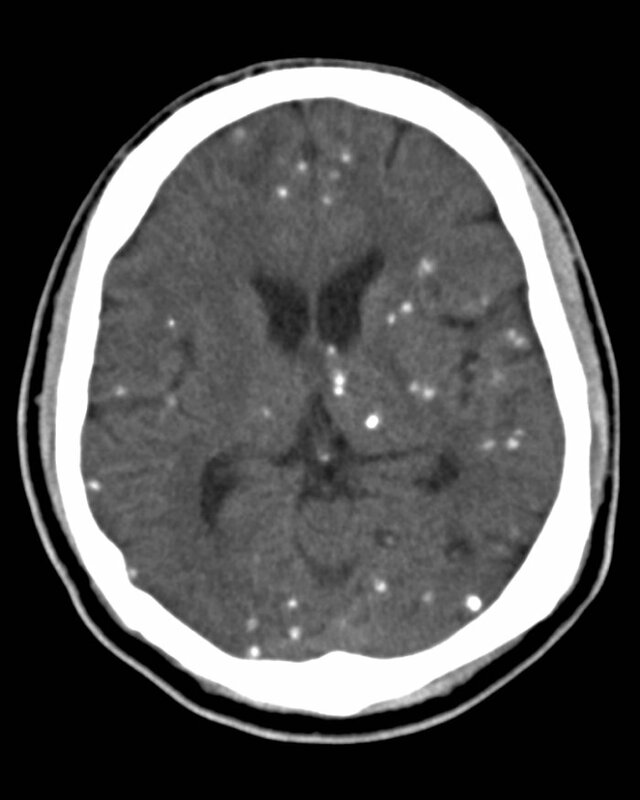 CT remains the best screening Neuroimaging procedure for patients with suspected Neurocysticercosis, and MRI is the imaging modality of choice. a CSF, cerebrospinal fluid; ELISA, enzyme-linked immunosorbent assay. Praziquantel is used in doses of 50 mg/kg/d for 15 days, but recommended dosages have ranged from 10 to 100 mg/kg for 3 to 21 days. Albendazole is administered at doses of 15 mg/kg/d for 1 week. Albendazole showed the clinical benefit of decreased seizures and enhanced resolution of cysts after treatment. Has better penetrance in the CSF and hence destroys subarachnoid and ventricular cysts. Patients with single enhancing lesions may not need specific therapy as most of these lesions disappear spontaneously. Simultaneous administration of corticosteroids and cysticidal drugs ameliorate the secondary effects of headache and vomiting that may occur during cysticidal drug therapy. Single antiepileptic drug results in seizure control in most patients with epilepsy due to NCC. Ventricular shunt placement has a role in the management of patients with obstructive hydrocephalus. Removal of intraventricular cysts is helpful. 2. 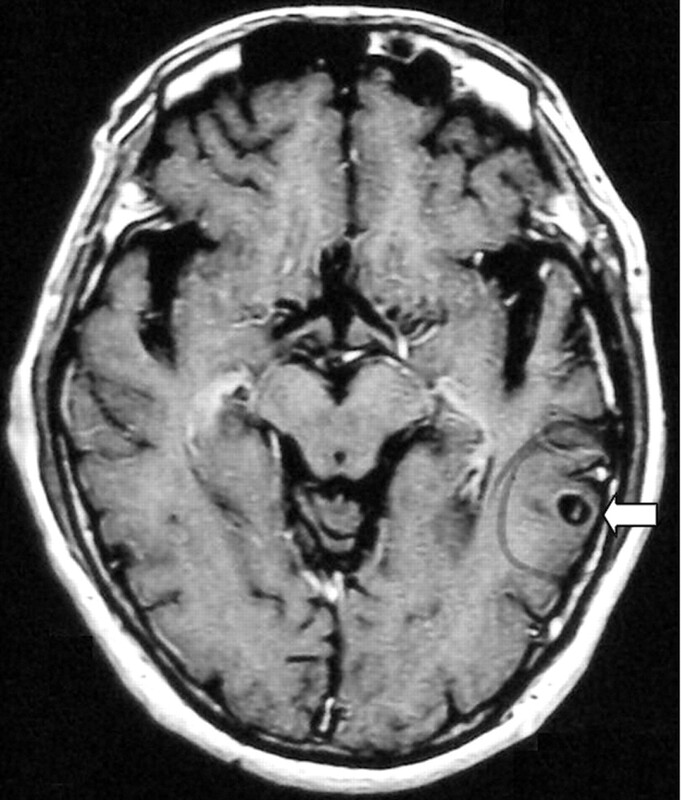 Axial magnetic resonance imaging scan of the brain of a different patient with neurocysticercosis showing a vesicular cyst (arrow). The head of the larva in the cyst gives the lesion a pathognomonic "hole-with-dot" appearance. 3. Brain MRI Scans: (A) T1-weighted image, showing the left sylvian fissure containing multiple thin-walled large racemose cysts along with many parenchymal cysts. The lesions are hypointense; (B) T2-weighted image showing hyperintensity of the cyst fluid at the left sylvian fissure and multiple parenchymal cysts, some with perifocal oedema; (C) proton density MRI showing right posterior horn of lateral ventricle containing an intraventricular cyst. 4. 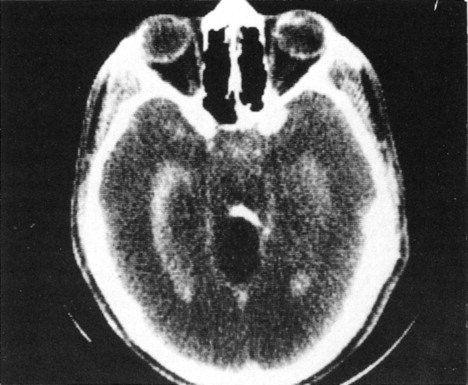 Computerized tomography showing a typical fourth ventricle Cysticercus cyst delineated by the positive contrast-medium technique. Albendazole is the correct treatment for a minimum required period of 4-6 weeks. CT scan may show persistence of images, which may not mean active disease. Talk to your neurologist.